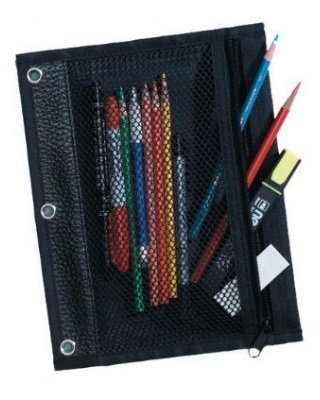 Constructed of durable black nylon, this pouch is convenient for carrying pencils, pens, markers, small pads, and other supplies. Features zippered, see-through mesh pocket. Fits all standard 3-ring binders. Overall size: 7½" wide x 10" long.